Sportive youngsters and active elderly are shaking up the textile industry as we know it. People are more aware of the long-term benefits of a healthy lifestyle and have turned sports into an important part of their lives. 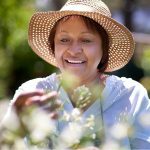 Elderly, in turn, want to stay independent for as long as possible, while being protected from all the discomforts that come with getting older. This has blurred the lines between sportswear and leisure wear, and makes fashion brands come up with new and innovative apparel. So how does this influence textile manufacturing? Which new technologies should you focus on, which smart finishes should you add? In this blog, we tell you some more about the impact of the vitality trend on the textile industry and how you can anticipate it with some little tweaks. The vitality trend is the logical result of another worldwide development: wealth. All around the world, people are getting richer. Take the middleclass in China, which included 68% of the Chinese population in 2012 and is expected to expand to 75% by 2022. 75% of 1.3 billion people equals 975.000.000 people. And that’s only in China. Anyway, when people get richer, there’s more room for them to focus on health and lifestyle. Second, researchers come up with ever more convincing studies on the importance of good nutrition and physical activity, causing the world population to move their social lives to the gym and the –healthy- kitchen. Another effect of the expanding middleclass is that more people are getting older. Add to this the growing focus on an active lifestyle and the increase of individualism, and you get a growing group of wealthy elderly that wants to stay active and hold on to their independent lifestyle for as long as possible. All of these changes have an impact on the average consumer’s closet- and therefore the textile industry. Now that customers have more money to spend, they’re able to purchase clothes that match their specific needs. Sportive youngsters look for high quality fashion that can be worn throughout the day and during a workout. Active elderly search for comfortable –yet fashionable- apparel that supports them in their daily activities. But requirements don’t stop there. Consumers no longer distinguish comfortable, classy and outdoor clothes: they want their apparel to have all of these different qualities at the same time. And don’t forget durability either: clothes endure multiple washing rounds and should be able to withstand rain, abrasion and tearing. How can textile professionals excel? Now that we’ve explored the developments that spurred the vitality trend and uncovered the requirements it poses to the textile industry, the question arises: “What can you do to anticipate?”. The good news is that you’ve quite some options, thanks to new technologies and techniques. Often, there’s no need to completely change your manufacturing process, as finishes, softeners and coatings can help you add value in a simple way. If you want to combine function with fashion, for example, we advise you to focus on stretch, prints, and odour-control. Especially the latter is interesting, as anti-odour finishes keep fabrics fresh for a longer period of time, which solves the problem of having to wash sportswear after each workout. You can add comfort and convenience through smart finishes, that keep the body warm in case of cold and cool it down in case of heat, while improving the body’s balance through mineral technologies. See how you can support people in their daily activities, simply by changing the clothes they wear? We could go on and on about the options and combinations that help you anticipate the vitality trend, but we hope you get the point that a little imagination and smart finishes can make all the difference. This last tip is a tough one, as textile professionals don’t usually like to be at the centre of attention. But when you want to use the vitality trend to your advantage, you have to tell people about the added value of your textiles. Whether you’re a textile manufacturer selling to brands, or a brand manager selling to retailers: you have to tell a unique story. Tell your customers you looked into the lifestyles and requirements of the end-users, and show them how your products make their lives easier, more comfortable and maybe even better. Be a little bold! Need some help in turning your textiles into vitality-boosting tools? Then download the white paper below, in which we’ll tell you about ways to anticipate today’s textile trends. In case of burning questions, you can also directly contact our support team. They’ll be more than happy to provide you with some custom-fitted advice.